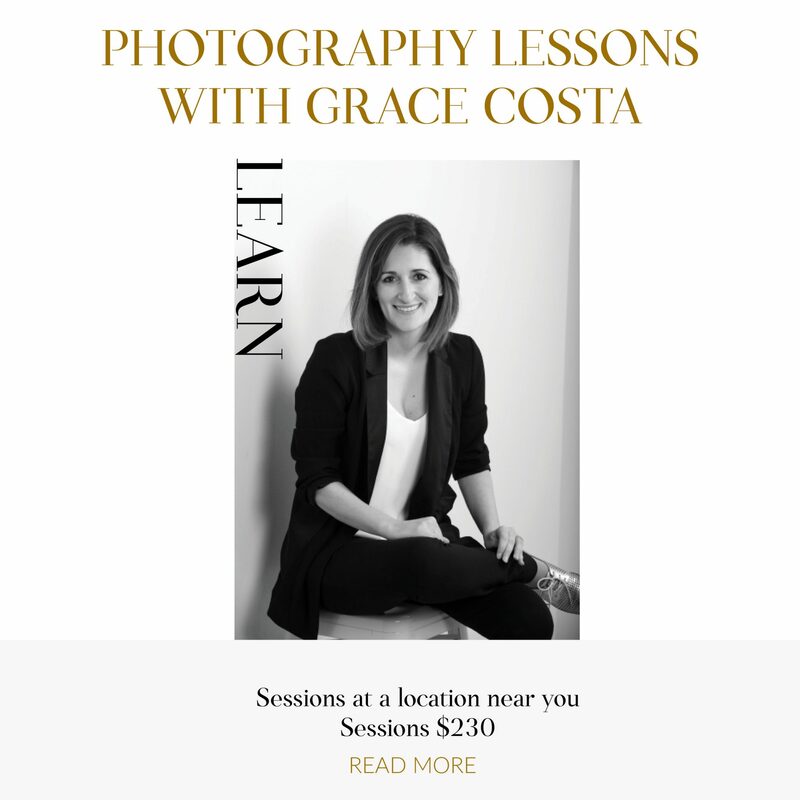 Testimonial: “Grace takes a holistic approach to photography mentoring – something I didn’t expect, but have definitely valued. Lessons ranged between the evolution and history of the art of photography, camera and hardware function, lighting, composition, editing, working with people and good business practice – all of which have contributed to my personal and professional development. While Grace willingly tailored our lessons to suit my skill level, she also challenged me to move beyond my comfort zone. Her flexibility, knowledge and high standards have definitely made me a better photographer.” – Melita Caulfield 2016. I’m now taking enrolments for spring sessions. Please contact me via email to register your interest, or why not grab a gift voucher for someone you know would love a special gift of following their creative passion. These differences are worth knowing if you are to become a better photographer, and not just a lazy one who takes snapshots! Knowing how to use manual mode properly and confidently will instantly take your photography to the next level. Firstly, and most importantly, the camera does not know what you are trying to photograph. When you are using auto mode, your results don’t turn out the way you want them to. The camera is seeing what it wants to see, the brightest part of a scene. When the camera exposes a scene, it will naturally favour the brightest parts and expose your image as a neutral grey tone. The image will turn out looking like rubbish, which is never your intention! 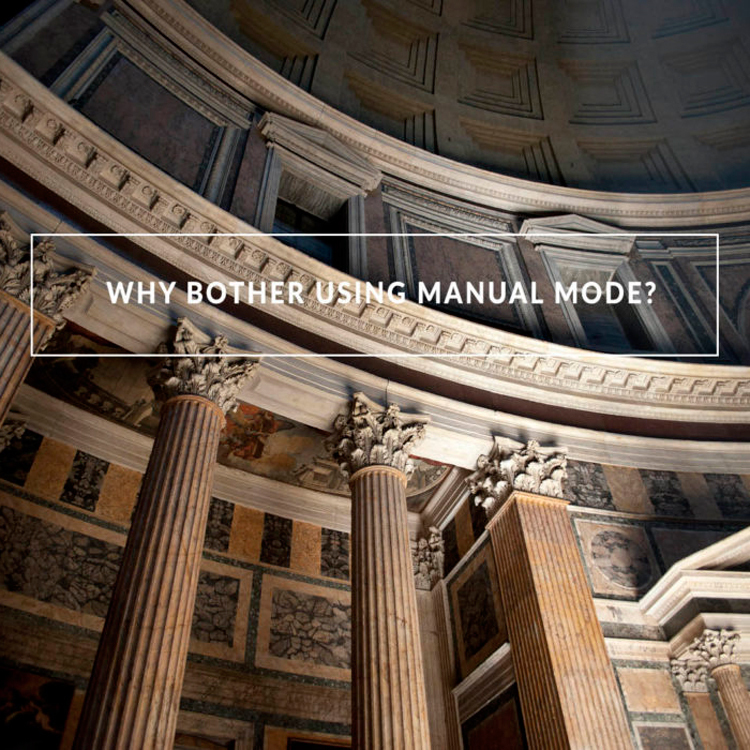 You will need to learn to override the cameras auto setting, by using manual mode (M). This allows us to manipulate the exposure, basically telling the camera how we want a scene to look. One example I often use; think about when you are taking a portrait of your friend in front of a window inside a room. The result 90% of the time will be the friend turns out very dark and the background looks great, nice and bright. Your goal was to photograph your friend, not the scene outside the window, that should be secondary to the portrait. To manipulate those situations, knowing how to use the camera settings on Manual and learning the rules of exposure are vital to successfully capture a great photo. .
You will learn how to understand the aperture (A), shutter speed (S) and ISO settings (ISO) all together to make the recipe for correct exposure. Aperture: is the opening in the lens that controls the amount of light reaching the cameras sensor. It also controls depth of field (DOF), the blurred background effect. Shutter Speed: Controls the fraction of time the light is exposed to the cameras sensor. ISO: is a standardised setting for the sensor sensitivity, exactly like the film days when you when and grabbed a roll from the supermarket ISO 100 for sunny outdoors shooting and ISO 400 for indoor or dark situations. Now digital camera can range from 100 ISO to 12800. Controlling all three settings will help to achieve the correct exposure. The correct exposure will create an image that looks the way you intended. Detail will be more obvious in the white/bright parts of the scene and also the dark/shadows. Are you interested in learning manual mode in more depth? From a real person, using everyday terms and not an instruction manual? Contact me, grace@gracecosta.com for one on one photography tuition. I’ve been photographing for 16 years in a professional capacity and have a passion for sharing my knowledge in an easy to understand language. 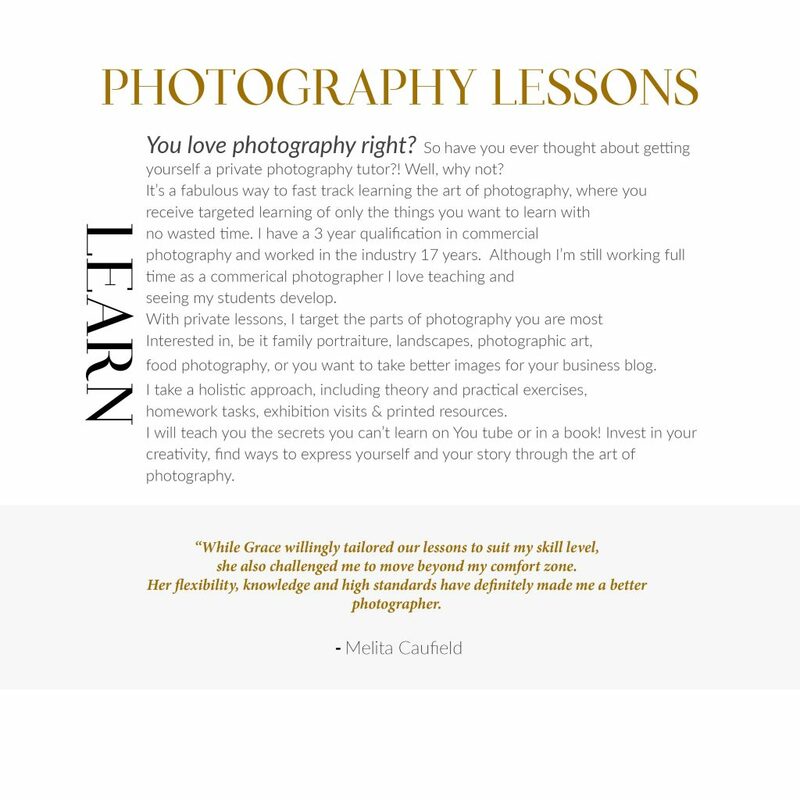 I’d be very happy to help you on your journey to becoming a better photographer! Recently I’ve been teaching food photography ‘one to one sessions’. I teach my student to explore different styles of lighting food to help create mood and emotion, and we plan styling and compositions to help achieve a narrative about the food we are photographing. 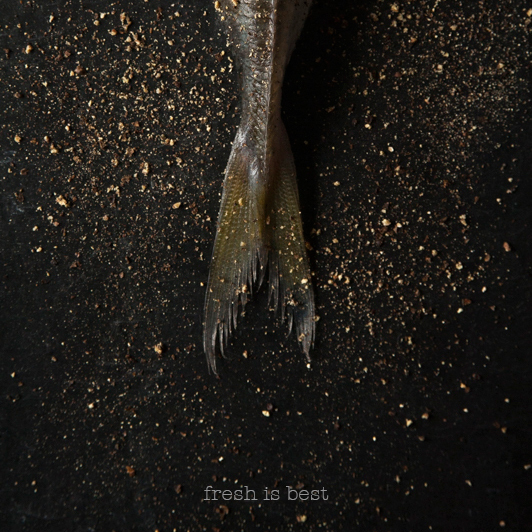 I find it is great fun and brings me back to my TAFE days where I first learned to art of food photography. It takes time, patience and planning but the results can be amazing and all worth the effort. I have been inspired to shoot a few things in my free time, here are my results. If you are interested in custom mentoring sessions, please send me an email. Lessons start at $230 for 1 and half hour session which includes homework task.